OLD PARKED CARS. 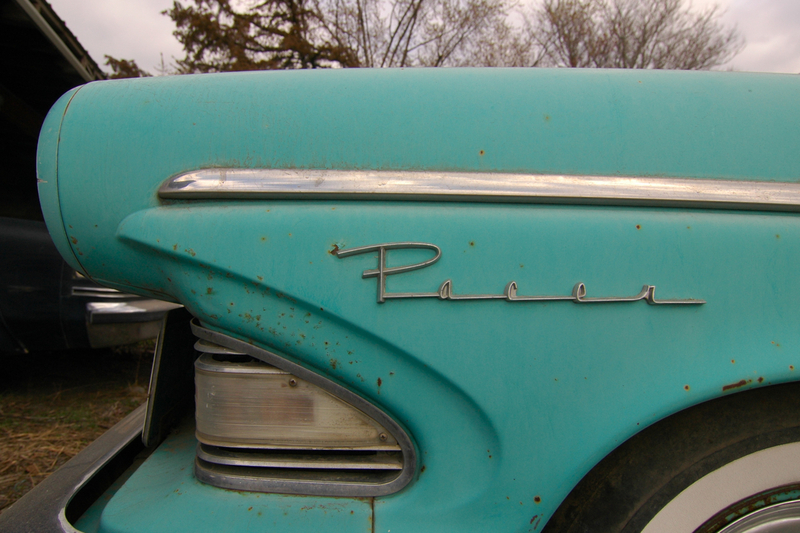 : 1958 Edsel Pacer Hardtop. Great photograph! 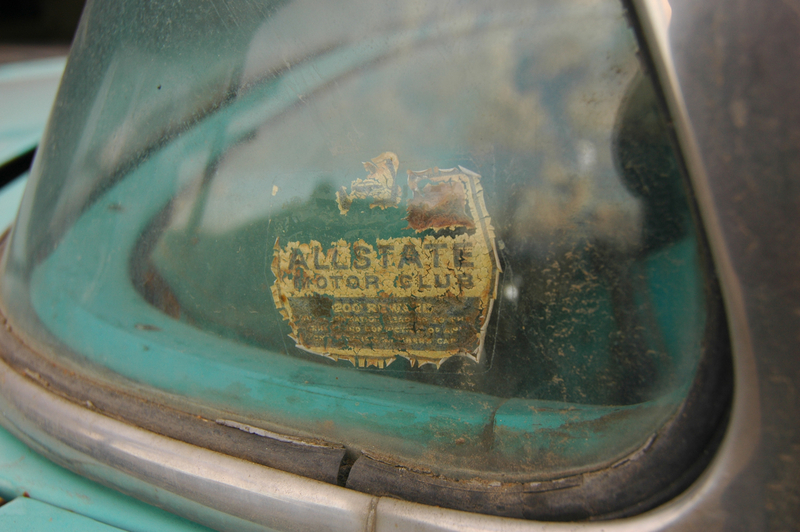 Appears that only the Pete's Upholstery sign & Edsel Pacer date this image 55 years ago! OMG!!!!!!! Amazing find. 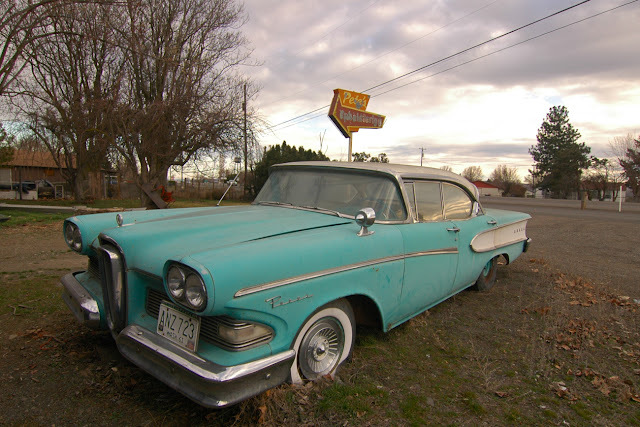 I just love the classic fifties 4 door sedans and this Edsel is so sweet in terquoise. 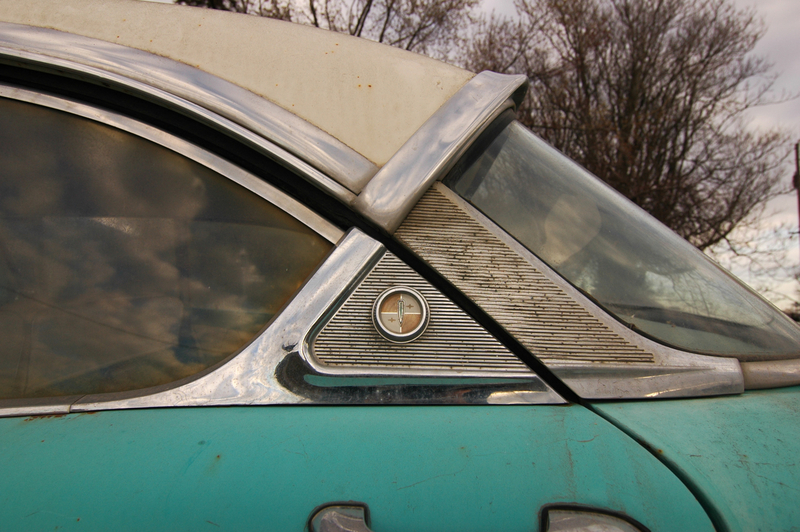 Great shots with the patina on the car and the old drive-in? sign. Again amazing find. do not let that die like that,just put in a 20R toyota's drive train&it should be good to go.nice find indeed. good lord, what a beautiful Edsel. these cars have great looks despite what the old saying of what the grille looks like. this one has that nice 50's turquoise hue to it and those fantastic taillights are only trumped by the Edsel wagons boomerang jobs. I would drive this as much as I could. Just look at that badge! The paint job is perfect for the car; the mirror is too cool. Love the way the rear window continues into the chrome, and mimics the front wrap-around grill/indicator. Holy crap, I spy a black Dodge Magnum with slotmags. 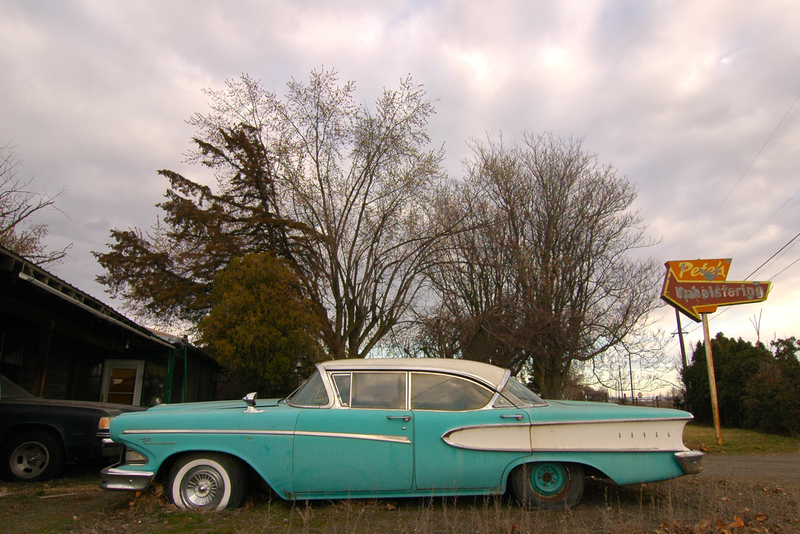 That Edsel is about to become one with the soil - the image with the old sign is cool,though. how did i not comment on this??! pete's sign is killin' these photos. too bad i'm going to go steal it. i usually couldn't care less about a car's brightwork logo, which ben always so thoroughly documents, but look at that "Pacer" in cursive script! painfully beautiful. I like Edsel's too. The 58' is my favorite. 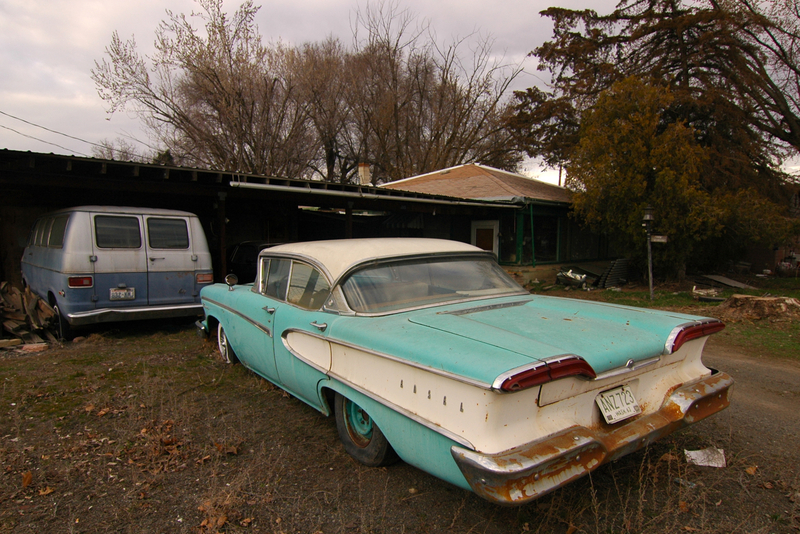 I really don't know what I like better that, or the 58 De Soto. I think they both competed against each other as well.